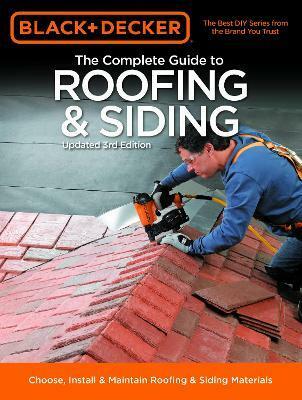 The Complete Guide to Roofing & Siding covers all traditional materials, from wood lap siding, brick, concrete block, stucco, stone veneer, and wooden shakes to vinyl, raised-ridge metal roofing, and fiber/cement lap siding. Less traditional roof-covering materials, such as EPDM rubber, architectural shingles, and fully bonded selvage edge and metal shingles are also featured with clear how-to photos and instructions. In addition to complete installation information, the book includes comprehensive methods for repairing problems with existing surfaces, as well as routine finishing and refinishing information. Edition Statement 3rd Updated ed. Chris Marshall (Sunbury, OH) is the author of dozens of books and hundreds of magazine articles on woodworking and home improvement. He is a contributing editor at The Woodworker's Journal.